t Anthony�s Hospital in Cheam, Surrey, is an independent private hospital close to Sutton and Epsom, on the borders of Surrey and South London, serving the local community, as well as overseas patients. It is a major centre for cardiothoracic surgery and cardiology and is listed by BUPA for bowel, gynaecological and breast cancer surgery. 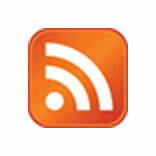 It has strong representation in other specialities including orthopaedics, general and vascular surgery and urology. Over 200 consultants from nine NHS Trusts use the hospital�s facilities for their patients. The hospital is supported by state of the art diagnostic imaging and a modern 8-bed intensive care unit. Services range from cardiac surgery to day-case procedures. It is quick to adopt new technologies that will benefit patients such as the new Greenlight (TM) laser for benign prostate enlargement. The hospital is a registered charity, owned by the Congregation of the Daughters of the Cross, a registered charity for the promotion of healthcare and education. 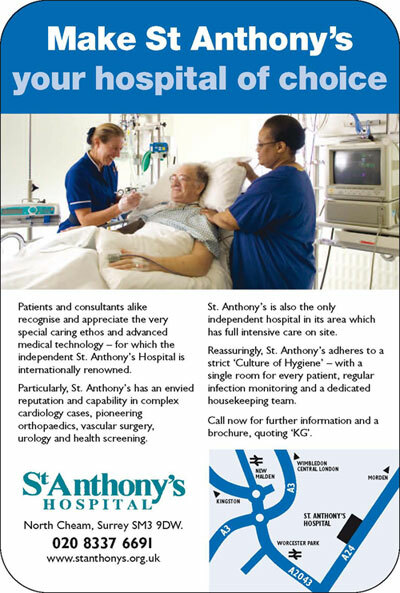 Founded in 1904, St Anthony�s style of care is based upon Christian values and is delivered by skilled and dedicated staff working together with leading medical practitioners.